The best way to get to know a community is by scheduling a tour. See the facilities, meet the staff and residents, and get a feel first hand what it's like to live at Missouri Veterans Home Nursing Homes. 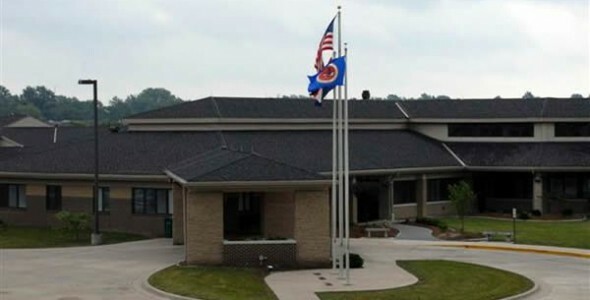 The Missouri Veterans Homes manage a total of 1350 beds that provide long term skilled nursing care in compliance with 157 Federal Department of Veterans Affairs regulations. The Homes are located in Cameron, Cape Girardeau, Mexico, Mount Vernon, St. James, St. Louis, and Warrensburg.Each Missouri Veterans Home employs a licensed nursing home administrator, has registered nurses on duty 24 hours per day, and provides physician care; physical, speech, occupational and recreational therapy; medications; cosmetology; maintenance, environmental and social services, and dietary specialists. Each home has a secured dementia unit that includes a dining room, activity area and enclosed courtyard.Seven modern well-equipped Veterans Homes located throughout the State. Each Missouri Veterans Home has a secured special care unit with specialized programming for dementia care.In addition to excellent food, Missouri Veterans Homes provide medical and skilled nursing care; recreational and rehabilitative therapy; social services and pastoral services. The maximum monthly rate is fixed each year by the Commission. On a case-by-case basis the rate can be adjusted if financial hardship is documented.